After completing a vehicle inspection, press Next in upper right hand corner. 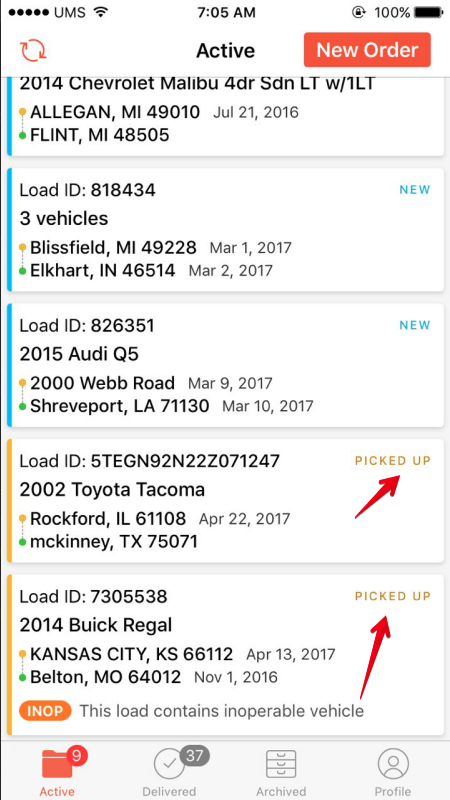 Then, after verifying Pick Up information, and after choosing Customer Signature or Customer Not Available, press Pick Up in upper right hand corner. The vehicle will change from "New" to "Picked Up" on the order screen.